Looking at the massive rules page, I thought this would be a very messy and confusing puzzle, but it turned out surprisingly intuitive. Great job with this format, I really like it. Also, something that may or may not be interesting, it is Sundoko and not Sundoku. 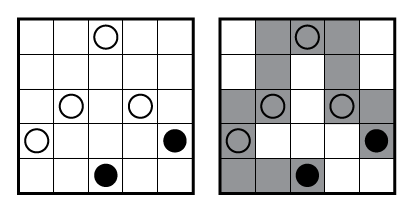 The authors clarified that this puzzle is a hybrid of Sunglasses and Kurodoko styles (which itself uses doko meaning “where”, not dokushin meaning “bachelor” as in sudoku). 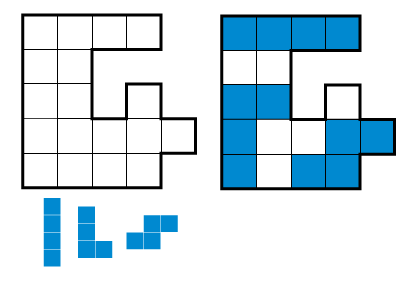 The number clues are doing the same thing as in Kurodoko (sometimes Kuromasu) puzzles. 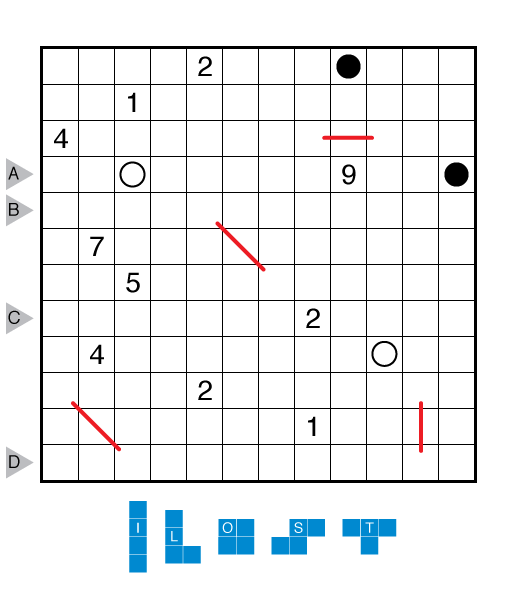 So this is one case where spelling a puzzle name that looks like sudoku as su[n]doko is correct. I can’t tell you how many Dr. Sudoko messages I’ve gotten in my life though. 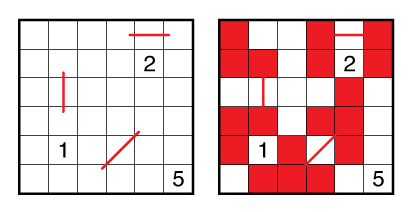 How about “two squares of the snake cannot touch diagonally unless they share a three-square snake segment? On a related note, I would find this to be a much more intuitive puzzle type if two different sunglasses also couldn’t touch each other diagonally. Then the SSS rule could be written simply as “Two squares of different colors may touch each other diagonally, but two squares of the same color can only touch diagonally if they are part of the same sunglasses / shape / snake segment”.